This is a weekly size-up by the Washington staff of Scripps Howard News Service. After gun owners won the last great battle in Congress, lawmakers are scurrying for other ways of protecting kids from violence in schools. Last month's school shooting in Santee, Calif., was greeted in Congress by deafening silence, and Democratic consultants contend the party's stand against guns hurt its candidates in the November elections. But is the pendulum swinging back the other way? The Texas Legislature is considering a more radical plan: arm the teachers. State Rep. Suzanna Hupp, a survivor of the 1991 restaurant shooting in Killeen, Texas, in which 23 people died, says trained school principals should be allowed to carry concealed guns and shoot back when assailants shoot up schools. 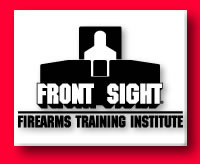 The Front Sight Firearms Training Center in Las Vegas says selected teachers could be armed as well. It is offering free firearms training to three employees per school.